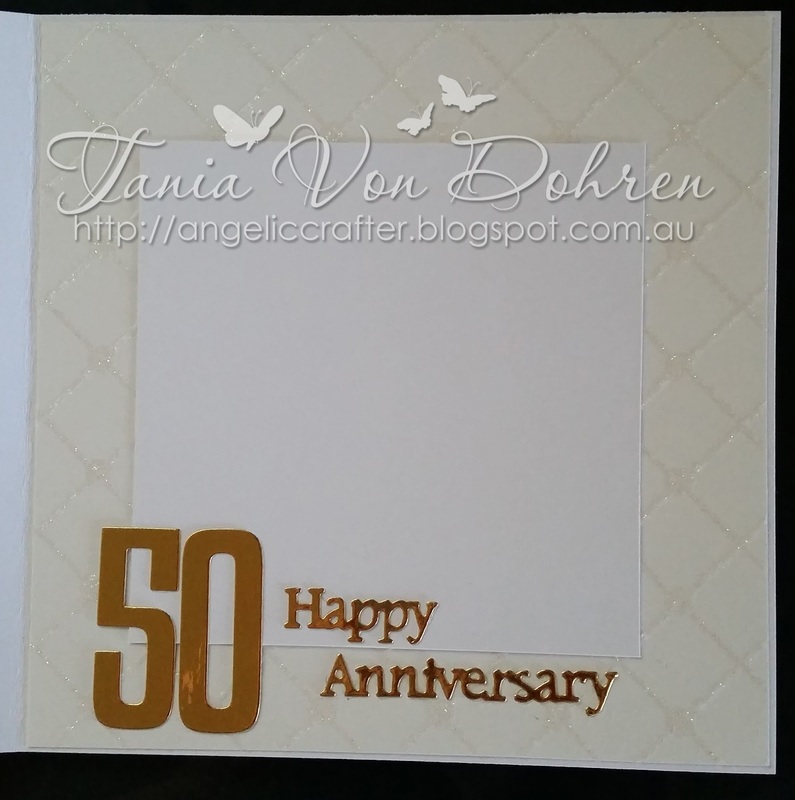 Here is a card commissioned to celebrate 50 years of marriage. 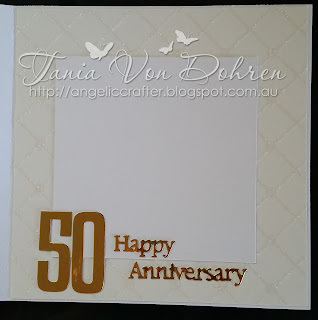 I used shiny gold card stock (which looks like copper in the photo) for the matting and the swirl topper (joy crafts die) as well as the insert. The die cuts inside are Tattered lace sentiments, the numbers are from a set of My Favorite Things dies. 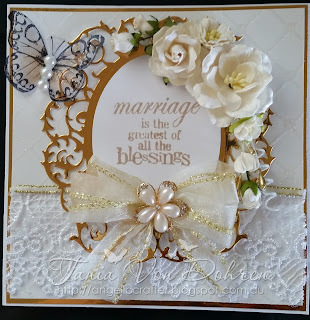 The verse on the front is a mixture of stamps I masked off as my customer wanted the word blessing or blessed in it. flowers are Wild Orchid Crafts available here. butterfly is hand stamped on to acetate, glitter embellished and cut out.